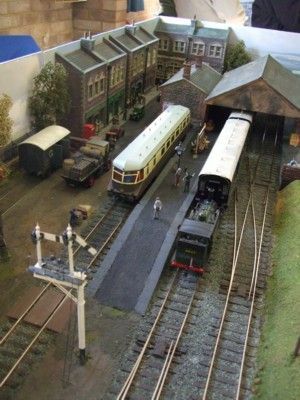 Between 10 am and 5 pm on Saturday, 26th September, the Rotary Club of Cranleigh presented a spectacular Festival of Model Railways. Dozens of working exhibits and stalls were on display in the Village Hall, Band Room and Guide Headquarters in Village Way, Cranleigh. An estimated 400 - 500 rail enthusiasts of all ages enjoyed the numerous exhibits, which included a detailed model of the old Cranleigh railway station. A sum of £1,250 was raised, and a cheque for this amount will be presented to Christopher's, the CHASE hospice for children in Guildford. The cup for best display was awarded to Crawley Model Railway Club.